Camping trips are an opportunity to unwind and refresh oneself from the daily battering of life. When you’re away from daily struggle and enjoying, the one thing you cannot afford to forget is food. This is a wonderful time to savor several tasty recipes and bring your taste buds back to life. Since you may have been quite used to unhygienic food, to compensate for the busy and stressful schedule, here are some healthy alternatives for the trip. Did you think all pizza was junk? Don’t worry about this kind though, for grilled pizza is healthy and filling. Carry a roll of cheese, some bread, and toppings of choice. Grill your pizza and have it served. While this would make for a lovely lunch, you would also be saving up all those calories which regular pizzas can give you. Not to mention that pizza happens to be a universal favorite. Fruit cobbler is a rather unconventional dish. However, it is definitely healthy and quite refreshing. You need the right assortment of fruits to get this dish in place. This won’t be difficult, as you will probably be carrying some for your camping experience. All you need to do is wash them well, peel them and arrange them into a bowl for consumption. Here is a chance to try out sandwiches which you otherwise wouldn’t have at home. Try all sorts of variations between the slices of bread, starting from cheese to mayonnaise and sauces. Carry a delectable number of ingredients that can be used on the sandwich making frenzy. When you are done, enjoy your own culinary inventions! Another simple, yet effective dish which can be termed nutritious and healthy. Try baking some pancakes made out of whole grain. 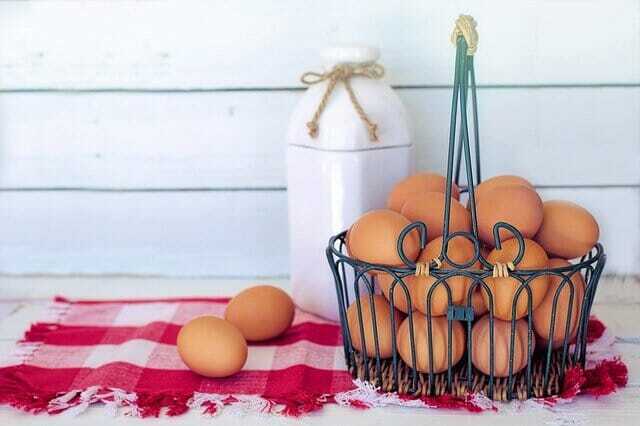 If you add eggs in the process, you further add to the vitamin and protein intake in your diet! Whole grain pancakes and eggs can be a perfectly suitable breakfast for you. With alternating marshmallows and strawberries roasted over a pit, this vegan snack is lip-smacking delicious. All you need are some long toothpicks and a generous share of marshmallows and strawberries. Dip the strawberries in honey or sugar solution if you can to enhance the sweetness. Then, put them alternatively in the toothpick and hold them over your campfire! You will have a lovely sweet snack to savor. Eggs happen to be a lovely source of nutrition and taste. You can do your tricks with eggs. You can have them poached, fried or with the sunny side up or two. Carry eggs aplenty on the camping trip. The sheer number of variations will allow you to mix and match your taste with time. A cake is something that you can always have. Cakes are easy to bake, need a few pairs of hands, and it is hardly easy to go wrong with them. The peach blackberry camp cake can be easily made from the few common fruits that you would like to carry. If you have a portable oven, use it and have these wonderful cakes baked to taste. If you do not have an oven though, you can get one very easily. Check out the website. As you see, the camp is a happening place. You hardly need to wander about to get your tummy filled. With these recipes at hand, that should not be too difficult. Try these yummy snacks for yourself, your family and your friends. Help your camping trip be both memorable and delicious at the same time! When it comes to food, there should not be any compromise.